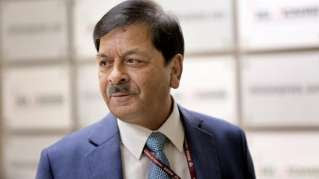 The Central Vigilance Commission, on Sunday the 10th of June 2018, got Former NIA Chief Sharad Kumar as its Vigilance Commissioner. Kumar is a 62 year old, 1979-batch IPS officer of the Haryana cadre retired last year in September after heading the National Investigation Agency. He was at the helm of the NIA that is an anti-terror probe organisation for more than four years. His appointment as the Vigilance Commissioner in the Central Vigilance Commission comes for a term of four years or till he attains the age of 65. To put it in other words: Sharad Kumar's tenure will come to an end in October 2020. It is interesting to note that the post of the Vigilance Commissioner in the CVC was lying vacant since February this year. At present, K V Chowdary is the Central Vigilance Commissioner and T M Bhasin is the other Vigilance Commissioner. With the induction of Sharad Kumar as the Vigilance Commissioner the structure seems complete.